Agricultural cultivation practices which only consider the results of a moment without concern for damage effects in the future to make the destruction of agricultural land fertility due to the elements in the soil ( C-organic, nutrient contained) transported by the crop and the effects of excessive use of inorganic fertilizer plant will cause dependency nutrient intake from the outside environment and the disappearance of the ability of plants to provide natural nutrients. Therefore, special treatment is needed to repair and restore the fertility of the land became productive again, with a combined intake of inorganic nutrient limited granular-like compound tablet technology applications ( Gramalet ® ) at doses in a wise and organic fertilizers and biological ( such as Green Phoskko ® ) , so that crop productivity will also increase. 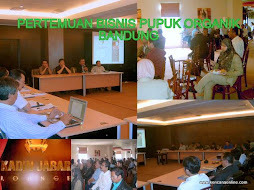 According to the Center of Bogor Agricultural Land Resources Research ( 2008) , 73% of agricultural land Indonesian low organic matter content ( between 0.6 to 2% ) , 23% in the medium ( soil organic matter 2-3% ) , and only 4% of the entire land area that is rated to have high organic matter ( over 4% ) . This condition is not favorable for agricultural land in tropical areas are buffeted by high rainfall. Organic manure as fertilizer is not the usual microbiological activity ( inorganic chemistry) that directly improve soil fertility by adding nutrients to the soil. 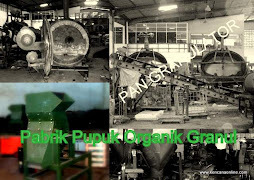 Organic fertilizer, biological or microbiological adding nutrients through natural processes, namely fixation of atmospheric nitrogen, making the material dissolved phosphorus, and stimulates plant growth through synthesis of substances that support plant growth. Microorganisms in microbiological fertilizer restore natural nutrient cycles of soil and organic material to form soil. Through the use of microbiological fertilizers, healthy plants can be grown while improving sustainability and soil health. Farmers need to re-use biological and organic fertilizer as an appropriate solution to minimize the adverse effects of chemical fertilizer use has been proven to have caused a variety of degenerative diseases ( diabetes mellitus, hypertension, etc.) . Actually, in order to meet the needs of the plants will be organic materials, natural materials ( trash and waste) will experience organic decomposition ( decomposition) in nature with the help of microbes and other soil biota. However, the natural composting process lasts longer and slower. 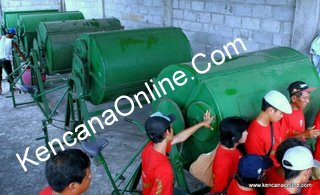 To speed up the composting process, for the benefit of rapid recycling, composting technology has been developed ( composting) , both with simple technology ( open windrows) , medium ( open windrows with aeration) , and high technology ( Kiln Rotary Composter) . 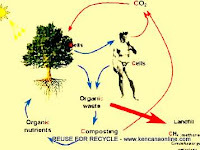 In principle the development of this technology is based on the process of decomposition of organic material that is manipulated by the given microenvironment ( humidity, temperature, moisture content, aeration and other factors for the decomposition by microbial decomposers) can take place continuously without stopping. Decomposition process is optimized in such a way that composting can run more quickly and efficiently. 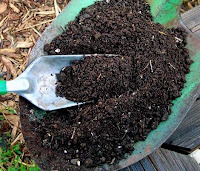 Technology composting ( composting technology) is becoming very important, especially to overcome the problems of garbage and waste ( organic) - especially in urban areas, such as to overcome the problem of trash in commercial areas ( residential areas, malls, hotels, industrial estates, factories, etc.) , garbage and waste problems in the social area ( schools, hospitals, places of worship, etc.) as well as problems arising from the existence of organic waste ( food and beverage industry, as well as agricultural waste, sewage farms and plantations) . Compost, as a result of processing waste and organic waste, a big benefit for the effort to improve soil structure by increasing soil organic matter content and will enhance the ability of soil to maintain soil water content. Microbial activity in soil that are beneficial to plants will increase with the addition of compost. Microbial activity helps plants to absorb nutrients from the soil. Soil microbial activity are also known to help plants deal with disease. 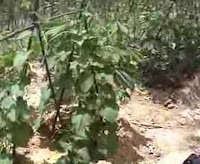 Plants are fertilized with compost also tend to be better quality than plants fertilized with chemical fertilizers, eg more resistant crops stored, heavier, fresher, and more comfortable. thorn in on-line advertising specialists side. likely getting penalized directly now from the top search engines.